Moe is on trial for assaulting Larry and Joe. Moe appeals to the judge (Vernon Dent), claiming he is a sick man who was instructed by his doctor to maintain peace and quiet. This peace is broken by Larry and Joe who are loudly rehearsing their “The Original Two-Man Quartet” routine to serenade Moe. Moe cracks and wraps Larry’s trombone slides around the quartet’s neck. Realizing Moe is in bad shape, Larry and Joe decide to take their ailing leader on a hunting trip to relieve his stress. Moe takes to the idea like ducks to bread, and the Stooges start packing. No sooner do they arrive in an empty cabin when a hungry bear devours some eggs and potatoes while Moe has his back turned. His nerves double frayed, Moe asks Larry and Joe to pursue the bear. One thing leads to another, and the bear ends up behind the wheel of The Stooges’ car, driving away with it. Then, when Moe thinks he is at the end of his rope, The Boys get involved with a sheriff (Frank Sully) in hot pursuit of outlaw Mad Bill Hookup (Joe Palma). Back in the courtroom, Moe ends his story by concluding that he must go back to bed for six additional months. The judge takes pity on the poor Stooge and finds him not guilty. Joe and Larry are disgusted by the ruling and are about to get theirs. But thanks to Larry’s tough skull, the ax is now broken and Moe begins to lose his nerves again. The Stooges are secret agents working undercover at the home of Professor Sneed (Emil Sitka) and his daughter (Christine McIntyre). Sneed is developing a rocket fuel in secret for the government. Captain Rork (Philip Van Zandt) of the “State of Anemia” watches the professor through his front window, with hopes of kidnapping him. Of course, Rork and his henchmen capture The Boys instead, mistaking Larry for the professor. Rork demands that The Stooges whip up some of the fuel, and then write down the formula. It does not take long for the kidnappers to capture the real Professor Sneed, along with his daughter, and throw them all in jail until the formula is disclosed. As Rork serves The Stooges their last meal, they steal the jail keys from him and use their fake fuel to break themselves, Professor Sneed, and his daughter out of the jail and make a quick exit. The Stooges play the proprietors of the Cafe Casbah Bah, a Middle Eastern restaurant. One morning, Moe and Larry are awakened by their crying sweethearts, who are in need of money to pay off a bad debt. While attempting to prepare a meal for customers Hassan Ben Sober (Vernon Dent) and the Gin of Rummy (George J. Lewis), The Stooges try to think of a way to raise the needed cash. In the interim, they discover a plan that their hungry customers are hatching. These two thieves are attempting to rob the tomb of Rootentooten, which contains a priceless diamond, but they discover that the Emir of Schmow (Johnny Kascier) has already gotten his hands on the diamond. The two plotters start wailing and are thrown out of the restaurant. The Stooges then attempt to retrieve the diamond themselves, as there is a $50,000 reward at stake. The Stooges arrive at the Emir of Shmow’s palace, all three dressed as Santa Claus. They then manage to acquire the diamond and make a quick exit, but not before dealing with a burly guard. This was the first of the four “phony Shemp” shorts and shows the most new footage with Joe Palma. Fake Shemp, or simply Shemp, became known as someone who appears in a film as a replacement for another actor or person. Their appearance is disguised using methods such as heavy make-up (or a computer-generated equivalent), filming from the back, dubbing in audio and splicing in past footage from the original actor’s previous work, or using partial shots of the actor. The concept is named after Shemp Howard, whose sudden death in 1955 necessitated the use of these techniques to finish the films to which he was already committed. Once somewhat commonplace throughout the 20th century, the use of Fake Shemps to emulate living people are now forbidden under Screen Actors Guild contracts, largely because of a lawsuit filed by Crispin Glover that determined that the method violates the original actor’s personality rights. 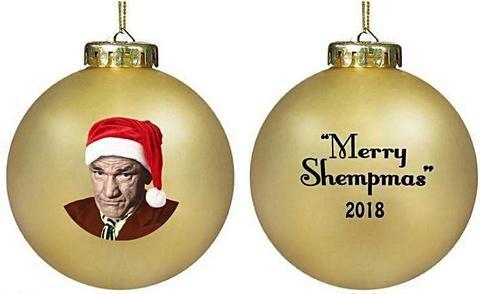 The method continues to be used in cases, such as Shemp’s, where the original actor is deceased and permission from the deceased actor’s estate is granted. Moe and Larry marry Shemp’s plump sisters and discover to their horror after the vows that the girls are a couple of battle axes. The new bridegrooms vow revenge on Shemp for introducing them. Shemp is a music teacher who discovers that he has to marry a woman within 7 hours to receive $500,000 from his dead Uncle’s will. After some searching, the Stooges finally find an ugly crone, one of Shemp’s students. Several of Shemp’s old girlfriends, golddiggers all, arrive at the Justice of the Peace’s office, wrecking havoc in an attempt to marry Shemp for his money. Husbands Beware is the first release of 1956, the only year in which all the releases were refurbishings. The first four films maintained the usual balance between stock and new material, but after Shemp’s fatal heart attack midway through the production schedule, the remaining four necessarily contained little new footage. Most of the refurbishings were of the 1949 releases since all the 1947-1948 films had already been reworked except Mummy’s Dummies and Brideless Groom. Mummy’s Dummies, with its exotic sets, was never refurbished. Husbands Beware refurbishes Brideless Groom, the delightful 1947 film in which Shemp has to get married to inherit $500,000. Jules White now turns it into a slightly different but equally dynamic tale of three romantically (and gustatorially) disastrous marriages and supreme revenge. The mayhem of the original, highlighted first in the mid-stream beating Shemp takes from Christine McIntyre and then in the final Bassarid riot, is maintained intact, but to it is added a complementary battle between two absolutely titanic wives and their defenseless Stooge husbands. The film opens with Moe and Larry marrying Shemp’s “lovely sisters,” a new addition to the uncles and cousins of Shemp’s extended family. These brides are nearly twice the size of Moe and Larry, and no sooner do the grooms say “I do” and prepare for their nuptial kisses than the wives deck them with right crosses shouting. “That’s just to show you who’s gonna be boss around here!” Belly bumping and kicking them into the kitchen, they reverse gender roles completely by putting the men into the kitchen to cook for them, a comic cultural paradox in the 1950s. Little do the wives know what kind of cooks The Stooges are, though. Earnest as ever, the trio does genuinely try to produce a fine turkey dinner, but of all the Stooge-prepared meals this one turns out the most undelicious with more than a hint of such flavorings as soap, aftershave. powder, turpentine, and fire extinguisher. 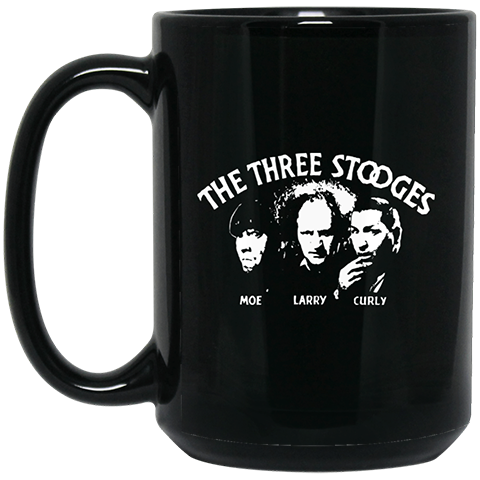 The Stooges have served many bad meals to many people, but usually, their victims cough feathers, smile politely or pucker their lips. This time is different: the wives throw all three of them out of the house. The addition of the two bossy, physically dominant wives was a stroke of genius. To make room for the new footage White dropped the dressing scene and the Shemp-in-the-piano sequence; the latter was recently reprised in Gypped in the Penthouse, and both would have interfered with the woman-beats. 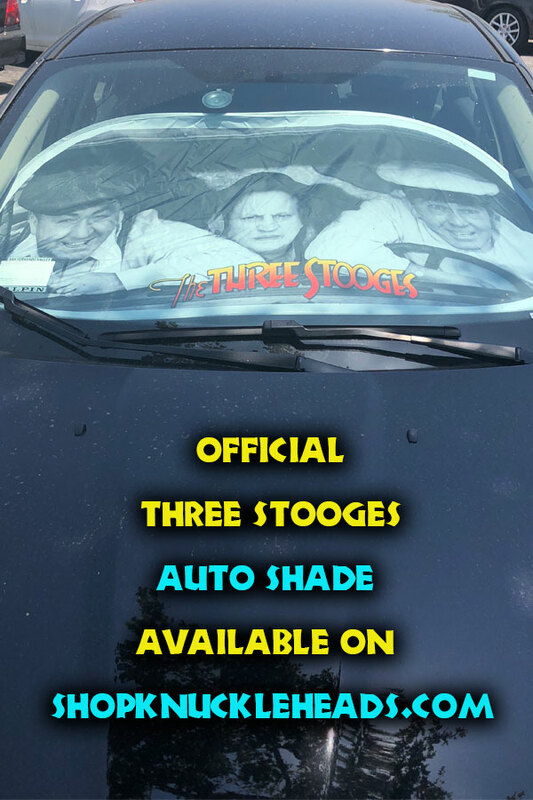 Stooge theme of the new version. Now the film begins, continues. and ends with women that beat the Stooges. The Stooges who regularly hammer each other, gangsters, and beast-men now find themselves socked, manhandled, thrown, belly bumped, and kicked by their wives, shoved, slapped, and shaken by the woman across the hall, and beaten, rifle-butted, and bear trapped by the gold diggers in the finale. What this film demonstrates is how Stooge physical humor can depend not only on the Stooges hitting each other but on their being hit by other people, especially ‘poor, weak, helpless’ women and “lovely” new brides. If there was ever a time for the Stooges to join the Woman Haters Club, this was it. 1956 was the only year where all Three Stooges releases were refurbishings. The second half of Husbands Beware is stock footage from 1947’s Brideless Groom. A standout scene added is a battle between two absolutely titanic wives and their defenseless Stooge husbands. In the new footage of the wedding sequence, a double stands in for Dee Green (Fanny Dinkelmeyer). The new scenes were filmed on May 17, 1955.